Author Ria Cantrell is a new friend, and practically a neighbor here in southwest Florida. 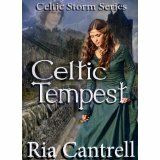 Both of her books Celtic Fury and Celtic Tempest are included in my Christmas Giveaway (see the Events or Drawings pages of the website for entry details). Today, Ria shares a particularly rich childhood Christmas memory. This is the time of year when lots of memories flood us about times that were before. I know many of you have Christmas memories that rival the Currier and Ives Christmas cards and I guess I am not alone in that thought. Our Christmases were always special. My mom had the house decorated completely the weekend after Thanksgiving. It was just the way it went. We weren’t concerned with Black Friday, because the day after Thanksgiving was for setting up the tree. Living on Long Island at the time, it was typically quite cold already and so, after the tree was dragged out, we went on a quick trip to a local village green where Santa would arrive by helicopter. We never doubted that he couldn’t use a sleigh because , there just weren’t usually snow drifts yet for the sleigh to work and a helicopter seemed totally reasonable to us to transport Santa. After we witnessed Santa’s arrival, we went back and finished putting up that tree. It took all day, but it was worth it. My mom wanted to give the Rockefeller Plaza Tree a run for its money because it seemed there were thousands of lights on our tree. In the weeks to follow, I remember that people would wish us Merry Christmas wherever we went. I don’t remember ever being told Happy Holiday. It was our first Christmas in our new house and we were all thrilled. Except, what we kids didn’t know was that my daddy had been on strike for many weeks. It was the longest teachers’ strike I can ever remember. We heard them say he was on strike, but being little kids we had no idea what that meant. What it meant was that Daddy wasn’t getting paid. And because of the strike, the teachers were penalized 2 day’s pay for every day they walked the line. The teachers of NYC were on strike for 16 weeks in 1969. That meant for 32 weeks, my dad’s pay was penalized. I am sure my parent’s didn’t know what to do about Christmas, what with the little money coming in and the new mortgage they had recently undertaken. But you know something, my sister and I had no idea how dire things had become. We always had food on the table and clothes on our backs. We had the best Christmas tree anyone could imagine. My parents didn’t ever let us know how scary the financial situation was. That Christmas we had so many wonderful presents under the tree. There were packages of coloring-books, pick-up sticks, jacks; little traveling games. We thought we were probably pretty rich kids. We each got a Thumbalina doll in a special cradle and we had the biggest Gingerbread house on the table. I was certain Hansel and Gretel modeled their house on the one Daddy brought home. Christmas dinner was, as usual, a feast. Years later, when we reminisced with my parents about that Christmas, my mom couldn’t believe we thought THAT was the best Christmas ever. She confided that she had gone to the “bargain store”, which is equivalent to the dollar stores of today and got a whole bunch of little trinkets for twenty dollars or so. She knew she wanted us to have at least one real gift and knowing we wanted those little dolls that moved with the help of the great technology of a pull string and ring, so we did get the Thumbalina dolls. Her best friend at the time must have known my parents’ financial struggle, so she had learned that one of her neighbors was giving away these wooden doll cradles, but they were pretty worn out. My mom lovingly gave them a needed facelift and transformed them into soft pink creations fit for princesses, which I later learned she worked on late at night in the days before Christmas, when we were asleep. The gingerbread house was an after-thought, apparently, because my father felt so badly that we had no “special” gifts to open. I still don’t know how he afforded that, now knowing what I know. The point is that we had no idea we were “poor”. Maybe kids today wouldn’t either. I think it is sad that there is such a push for grander and more technologically advanced things under the tree. I think parents could learn that kids may find magic in the simplest of things. I have often wished to go back to those simpler days of coloring books and pick-up sticks. The baked goods were always wonderful and the presence of family and loved ones made those Christmases so much fun. The decorations were fantastic. Best of all, was that we thought we were the richest kids on the block. I guess in a way we were. My wish for you all is to have a blessed Christmas filled with the magic and wonder seen with the “eyes of a child”. I hope you and your family can find the riches in the simplest of things and that you are blessed with the love of family and friends for many days to come. Don’t be afraid to wish strangers a Merry Christmas. HE is after all the reason for all of this preparation. Ria Cantrell lives with her English rock star husband on the sunny shores of Southwest Florida. When she is not writing, Ria is busy singing and performing with her husband in local venues. She is a classically trained vocalist with a specialty in baroque and early music, but she can “rock” out with the best of them. 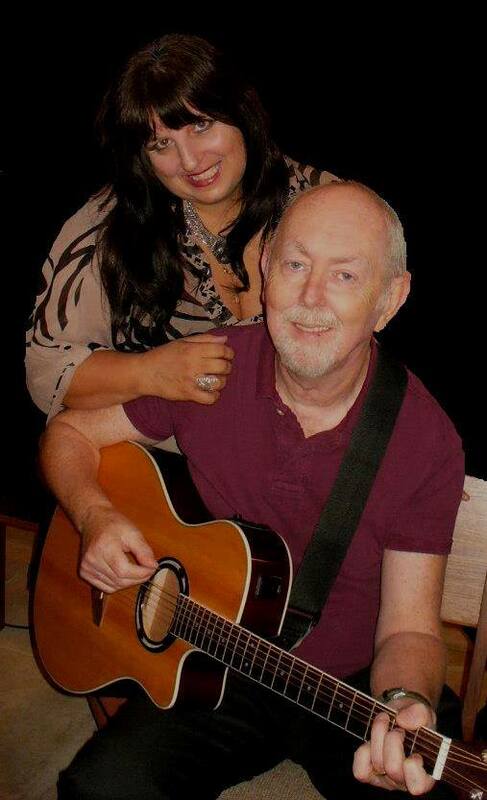 Her dreams came true when she met her husband Paul in 2010 after speaking to him via internet for nearly three years. They married in May, 2012. Ria would say that their love story was as good as the fictional ones you read and in fact, she may tell it in one of her upcoming books. 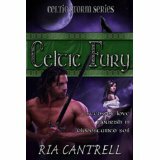 Ria has always been drawn to the distant past and so it seemed only fitting that Celtic Fury was set on a medieval stage. She began writing at a very young age and one would rarely find her without her trusted notebook scribbling her romantic musings. Hi Joann, I love hearing from fans (and so does Ria). Good luck in the drawing! Hi Joann. Thank you so much for your kind words. Merry Christmas and Happy New Year to you. Blessings!!! Thank you Ceci for sharing your heart and your page with me. XOXO So happy to have met you. You are very welcome Maria! Meeting you and Paul has been a blessing. Thank you so much for reading my post, Patti. You know, you write things that are important to you and you don’t know how others will take it. Thank you so much for responding. Blessings! I haven’t read anything you’ve written….yet 🙂 ….. but plan on fixing that promptly. Thank you for sharing that memory with us. If more people looked at life through a child’s eye this world would be a much more better place. Merry Christmas to you and your family! Leah, thank you so much for your response. I agree that sometimes the children of the world have it right. Anyway, I look forward to your feedback on some of the stories I have written. My third book, Celtic Spirit, is in the works and it combines the paranormal with medieval and present day scenarios. I look forward to speaking to you again. Have a blessed Christmas as well. Hi, Maria! You are a new author for me. I really enjoyed your story. Christmas time spent as children was a special magic back then. Well, thank you so much Cathy. I am glad you enjoyed my memory of that simpler time. It seems like just yesterday, really. Sometimes I do miss those days. I wish you and yours a very merry Christmas. Your post made me smile. I grew up on food stamps and second hand clothes for a time. Yet me and my siblings didn’t consider ourselves poor, we were just happy. And somehow our parents always had little piles of presents for us on Christmas. 🙂 Good memories. You know, Lexi, I think that growing up with “less” made us appreciate things. My father worked hard and my mom seemed to be tireless in taking care of us. The most important thing was that we were loved and nothing else seemed to matter. To this day, I appreciate every gift that is given to me and I think that had to do with the fact that nothing was ever just handed to us. I never felt like we were “poor”, because we were rich beyond measure. Have a great Christmas and thank you for reading my story. Enjoyed reading the post. I believe adversity makes a person. It grows us into caring, compassionate humans. Many of us go through it.